Alexandra, or Alex, is a suburb in the City of Johannesburg. This low-income area has played an important role in South Africa's history and Alex continues to be a key point in the city. It is located on te banks of the Juskei River and close to Sandton, one of the most important business districts in Johannesburg. Alex, however, is one of the poorest suburbs in the city and is home to over 180,000 residents within an area measuring just under 7 km². Food security is one of the key components of the initiative. This is done through the creation of local food gardens and establishing channels for sales and distribution of food. The organisation runs a large co-operative farm within Alex, and has created a network of various household-level food gardens. Tourism activities in Alex. The organisation provides tours for people to explore the farms and to visit other parts of Alex. 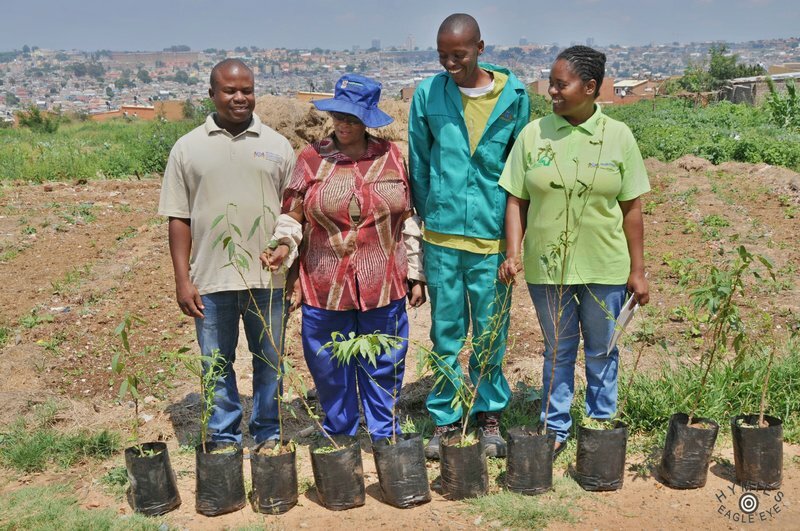 Greening of greater Alex through various activities including planting days. This is the activity that ties in well with Communitree's goals and where we have seen possibilities for collaboration. Skills development in the fields of farming, tourism, and business skills. Boosting of local economic development and the promostion of sustainable development goals. Our goal is to work with Alexandra Greening Route and the team behind it to add a strategic conservation and urban greening angle to their project.